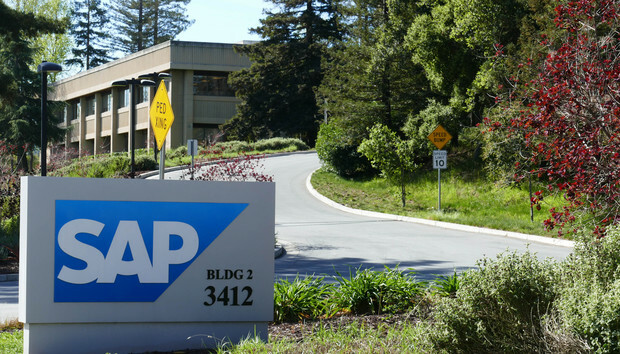 SAP's UK and Ireland user group (UKISUG) is largely unaware of SAP's big move to steal market share from the customer relationship management (CRM) software giant Salesforce with its latest in-memory CRM solution C/4HANA. Launched to much fanfare during SAP's Sapphire event in Orlando earlier this year, C/4HANA was billed as "the best consumer grade CRM experience in the industry," by CEO Bill McDermott during his keynote speech. The research, which surveyed 345 user organisations, showed that just five percent of user group members are 'very' aware of C/4HANA, with 65 percent not very aware or not at all aware of the new CRM solution. Of those that are aware of the latest SAP tech, 39 percent believe that 'it looks interesting and I see it potentially benefiting my organisation'. Speaking on stage to open the UKISUG conference at the ICC in Birmingham this morning, UKISUG chairman Paul Cooper said that he believes that the slow and steady adoption curve for SAP's next generation ERP system S/4HANA will be reflected, in time, by C/4HANA. That being said, there are clearly some lessons SAP could learn from that 2015 product launch. "SAP worked with us to provide education on the journey to S/4 and the benefits with the solution and also the long-term roadmap. All of these factors have clearly helped organisations to feel much more comfortable about their move to S/4," he said. "Over the next two to three years we expect to see a similar pattern with these solutions as we have with S/4 over the years. It's clear that as a community our awareness and interest really spikes once SAP starts to produce education and use cases." The stats for S/4 are certainly more positive reading for SAP, with awareness improving since two years ago, when there was much confusion over the user group's continuing lack of awareness of the new solution. Awareness is now widespread, with just 1 percent of respondents unaware of S/4. Now there are 12 percent of user group organisations actively using S/4, up from just 5 percent last year, and a further 58 percent planning to deploy S/4, up from 53 percent last year. Of those who have deployed S/4, 40 percent are very satisfied with the software, with just 5 percent not satisfied with it. The research also showed that the primary barriers to S/4HANA adoption remains cost, at 32 percent, with change management concerns (20 percent), lack of migration path clarity (4 percent) and lack of use cases (10 percent) amongst the other factors. Talking to Computerworld UK at the event, Paul Helms, SVP customer success group for S/4HANA Cloud admits that there are broadly two types of S/4HANA customers, and one is far more likely to have an appetite for the public cloud flavour of the product than the other. "It all starts with the mindset and approach the customer has to IT and an ERP solution," he said. "We have large enterprises who are absolutely determined to go to what they call 'market standard services' consumed in the public cloud because they do not see the need to pay a premium for things that don't help them win in their market. Then we see other companies that are dead set on their process and IT must bend to that process. "For those customers S/4HANA Cloud is probably a step too far, for the first category it is a perfect fit. So when we talk about change management as a barrier, these customers want to change, it is a motivator not a barrier." Then on cost, "the cost of adoption in the cloud is much lower as there is less project work to be done. You just have to bring data and wire it up and do change management." On the issue of a lack of knowledge in the wider ecosystem to advise and help customers make that shift, Helms outlined the ways his team is working to improve that. "Of course we are training our partners and users on S/4HANA Cloud," he said, as well as engaging with the S/4HANA Cloud community and providing embedded knowledge resources into the product through the Enable Now platform. On the last point of more reference customers and public testimonials Helms admits that it is an ongoing issue as customers are often restricted heavily by internal legal, marketing and communications barriers, but that SAP can "think about what is the return on their investment" to come forward and be a public reference customer.